Learn all about cropping images in Photoshop, including how to use the Crop Tool, how to straighten images, how to crop photos to exact frame sizes, and more, with these 8 complete lessons! We start in Lesson 1 with the basics of how to crop images in Photoshop using the Crop Tool, including how to crop your photos non-destructively to avoid making permanent changes to the image. We also take our first look at how to straighten images with the Crop Tool before covering it in more detail in Lesson 2. 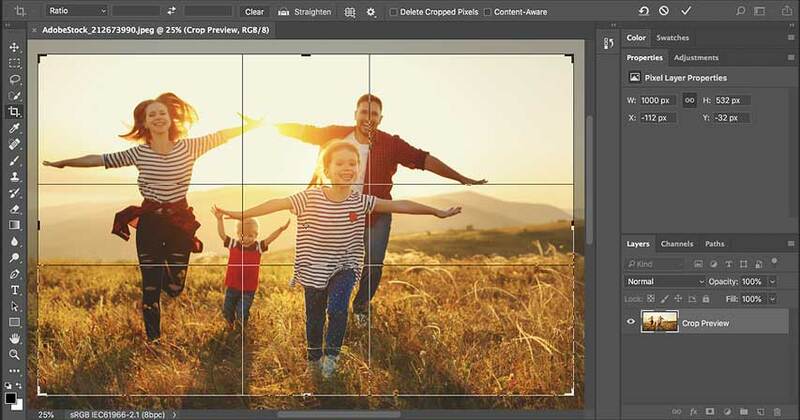 While the Crop Tool is most often to used to crop away parts of an image, it can also be used to quickly add more canvas space around a photo, great for adding a decorative border. We'll learn how to do that in Lesson 3. And in Lesson 4, you'll learn the essential Crop Tool tips and tricks that make cropping images in Photoshop easier than ever. Lesson 5 looks at Photoshop's Perspective Crop Tool, a similar but separate tool that lets us crop images while fixing perspective problems caused by shooting your subject on an angle. And in Lesson 6, you'll learn how the Crop Tool makes it easy to crop and resize photos to match the exact frame size you need! Lesson 7 covers content-aware cropping, a new feature added to Photoshop CC that lets us add more room around a photo by automatically filling the empty space with more photo! And finally, if you grow tired of cropping images as rectangles or squares, Lesson 8 shows you the simple trick to cropping images as a circle! Start here in Lesson 1 and learn the basics of using the Crop Tool in Photoshop. You'll learn how the Crop Tool works, how to straighten an image with the Crop Tool, and how to crop your photos non-destructively. In this second lesson, you'll learn a good way, a better way and the best way to rotate and straighten images in Photoshop, using both the Crop Tool and the Ruler Tool. If you think the Crop Tool is only used for cropping images, check out this third lesson where I show you how to use the Crop Tool to quickly add a border around your photo! Speed up your image cropping in Photoshop with this fourth lesson covering the Crop Tool's essential tips and tricks! Shooting your subject on an angle causes perspective distortions in your image. Learn how to fix them and crop your image at the same time using Photoshop's Perspective Crop Tool. Want to fit your 4 x 6 photo into an 8 x 10 frame? This lesson shows you how the Crop Tool makes it easy to both crop and resize your photos to fit in any frame size you need. Rotating and straightening images in Photoshop often leaves empty spaces in the corners. In this lesson, you'll learn how content-aware cropping in Photoshop CC can automatically fill in those empty spaces with more detail. You'll also learn how to extend the edges of your photo using content-aware crop. Tired of cropping images as rectangles? 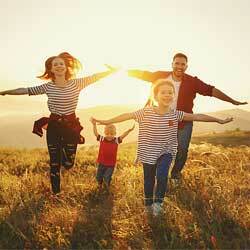 Want something more fun and creative? This lesson shows how easy it is to crop your photos as circles, and how to save the cropped version for the best results.